School choice gives parents a voice. Under the No Child Left Behind Act, children attending schools in need of improvement must be given the opportunity to transfer to other public schools in their district, including charter schools. What is school choice, in general? Public school choice programs include magnet schools, charter schools, intra- and inter-district open choice schools and controlled choice schools. While some of these options have provided significant improvements in outcomes, experts generally agree that no single approach to educational reform will eliminate the negative statistics that have plagued American education. Is school choice the answer? 1. Some students are left behind by No Child Left Behind. Studies have shown that the students who take advantage of school choice options are from an “advantaged” group with higher incomes, greater parental involvement, more permanent residence and greater language skills. The others are left behind – literally. 2. Resource shortages are left behind. The disadvantaged students are not alone. When students choose another school, the resources go with them. But unfortunately, as Dan Lowengard pointed out, the fixed operating expenses are left behind. 3. Political leverage vacuums are left behind. Lowengard also pointed to a third impact. The public school system has lost much of its political leverage. 4. Open seats in performing schools are not left behind. In an urban district, when many schools have the same nonperforming designation, seats in “performing” schools may be very limited. Create urban schools of choice for students left behind. Respect the intelligence, creativity and sophistication of the community members who have not completed the formal “middle-class” certification. Value the relationships over organizational positions of authority. A cousin who needs a ride to a doctor’s office trumps a supervisors’ warning to show up for work on time. Appreciate the crisis management of life with a daily dose of Murphy’s law: if it can go wrong, it will. Flat tires, lost keys, late buses, school suspensions, long waits in the emergency room, sick family members, missing paychecks—all examples of traumas that the middle class can solve with a phone call and a credit card. 2. Smaller class size makes a difference according to a study by the National Education Association. 4. The world that is left behind is filled with opportunities for enriched learning, but that world must be brought into the classroom experience. Project-based learning can make the transition, according to Edutopia, a forum of the George Lucas Educational Foundation. 5. Generation after generation has been left behind. To be effective, a school of choice must be multigenerational and reach the family network of its students. Head-Start accomplishes this by involving parents and care-givers as assistants in the day-to-day program. Pre-schoolers and post-schoolers all learn at the same time without the stigma of “remedial” programs. 6. Extend the education experience. The academic calendar for an urban school of choice should be in sync with the world around it. Ditch the agrarian clock. Studies have shown that those “left behind” are left behind again each summer, especially in reading. 7. Resources for comparable compensation. 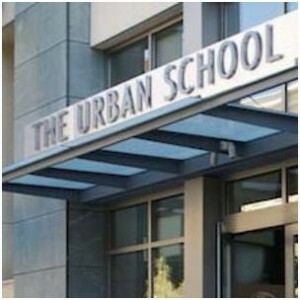 The urban school of choice should be a school of choice for the educational staff as well. A commitment to the mission of urban education is essential. It should be compensated at a level commensurate with the professionalism required. According to data from the Bureau of Labor Statistics, the average annual wage in 2014 for lawyers was $133,000 compared to $59,000 for secondary school teachers. Some adjustment is called for in an urban school of choice. Redesigning urban schools of choice over years, maybe generations, will reduce the gaps in educational achievement that are now so troubling for the future of our democracy. Schools of choice for urban neighborhoods can play a role in that future. Author: Minch Lewis is an adjunct professor at Syracuse University’s Maxwell School. He served as the elected city auditor in Syracuse, NY, for nine years. He has developed financial management systems for the affordable housing industry. He earned his master’s degree in public administration at the Maxwell School. He is a certified government financial manager. He can be reached at [email protected] . In the global and competitive economy, one of my primary concerns is the education and preparation of students for positions within that growing economy in diverse sectors. One option is the Direct Professional Support Workforce which needs standing at the Education, Health Care, Government-Non-Profit Sectors, and Public Administration gates. Must be a community workforce separate from the narrow Education functions in schools. Science, technology, engineering and mathematics will improve the standing in sciences and engineering which remains necessary at competitive gates. However, if we value something else in teaching and in our education, we need to assure it is part of testing and workforces. A good example in reverse, is the usurptation of social and behavioral sciences by the behavioral group claiming that statistics are for behaviorists.